Mix first four ingredients and spread in shallow glass baking dish. Add fish and turn to coat. (Although the recipe suggests this be chilled for 2 to 6 hours, I immediately cooked the fish after coating real well and it was still very flavorful.) Preheat broiler. Remove fish from marinade and transfer to a rimmed baking sheet. 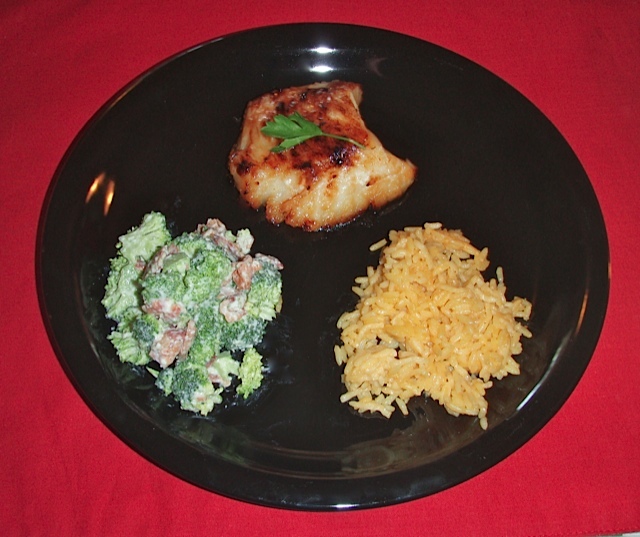 Broil fish for 3 to 4 minutes on each side (or until fish flakes with a fork). Sprinkle with green onions and basil if desired and serve. If you'd like a printer-friendly version of this recipe, Click Here. ** Miso was not so easily found and can be purchased at Japanese markets, specialty food stores, or in the Asian food section of larger supermarkets (such as Dierberg's or Wegman's, for example).